We all know TSLA is on a massive tear, I talk about it some on stocktwits from time to time as its one of my core holdings. Coming into June I was aware of its seasonality and intended to play some lotto call options to see if I can capture some lottery like returns. 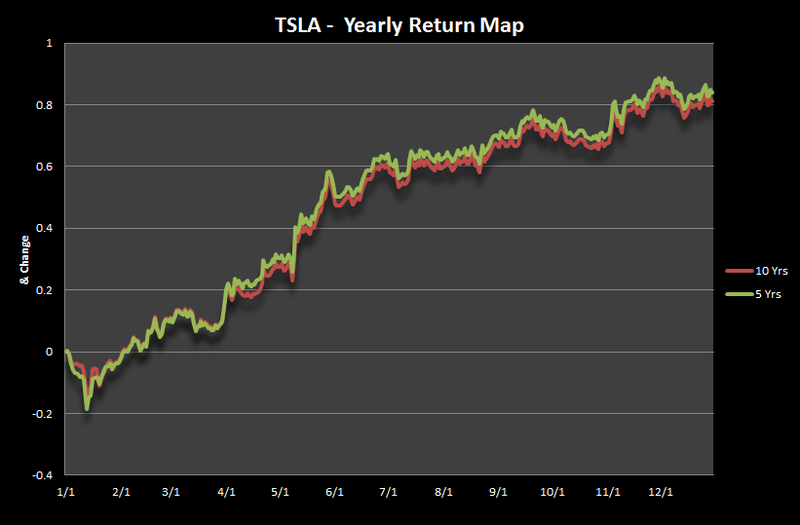 The next image is the Yearly return map for TSLA and at first glance you can see the May upside (which we got) then price tends to dip into the start of June and quickly makes new highs. Here is the June visual without 2017. You will notice how strong June has been on average with the 3 year and inception lines topping out at around +9-11%. Knowing this ahead of June (which we did) some lotto June calls were very interesting. The low price for the June 350s were $3.10 with a high price of $34.00. If you caught the entire move, that’s a 10 bagger or the 1000% mentioned above.